Top Israeli rabbis have been traveling more frequently to the United States in recent weeks, MK Meir Porush told U.S. Ambassador to Israel Daniel Shapiro. The reason, he wrote the Ambassador, was to rally American Jews to fight against “the edicts” that have been imposed on the hareidi religious community in Israel – namely the demand that hareidi youth enlist in the IDF. 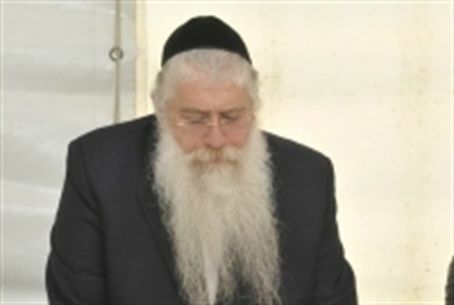 In his letter to Shapiro, Porush wrote that “you have certainly heard about the visits important rabbis are taking to the U.S. They are among the senior rabbis in the Agudath Israel organization,” the hareidi religious organization that sponsors Porush's Knesset seat. “They are members of the Council of Torah Sages, and will be traveling to the U.S. in the coming days. “They are visiting the U.S. in order to alleviate the edict of the draft against yeshiva students,” Porush wrote. “Those who do not agree to be drafted may be taken to prison. “You will no doubt remember,” wrote Porush, “the contents of the discussion we had several months ago when you visited my home. Then, I told you that if and when the Torah sages decided that there was a grave danger to the study of Torah in the Land of Israel, we would see this as a declaration of war against the hareidi religious community. In that case, we would not hesitate to take the necessary steps,” he wrote. “We feel,” he said, “that things have become intolerable for our community,” he added.